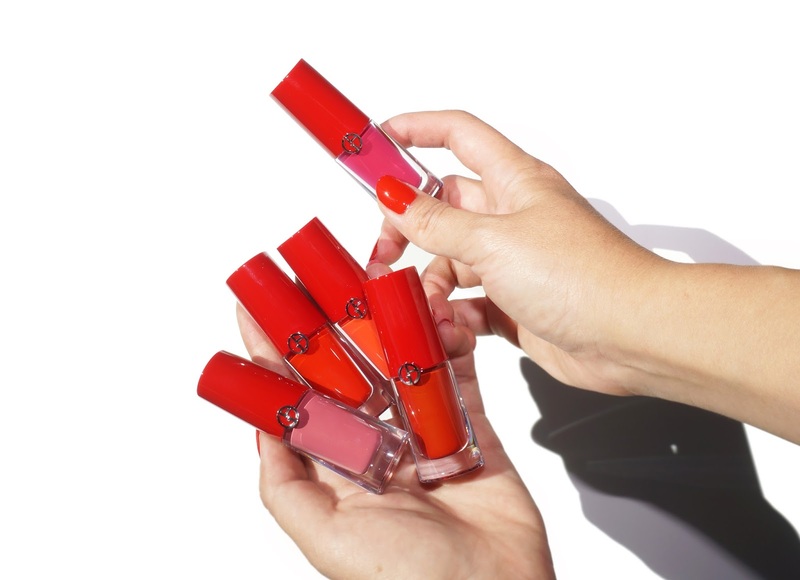 I didn’t test out the colors from the original release but the swatches I saw of these from other bloggers looked promising and several were kind enough to e-mail me recommendations to check these out. 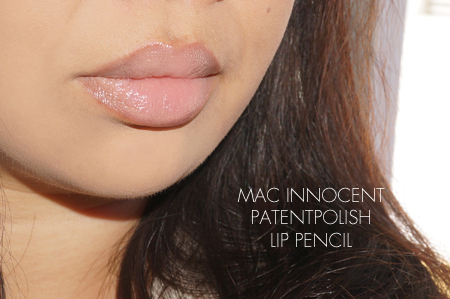 The Patentpolish Lip Pencils are a unique formula. 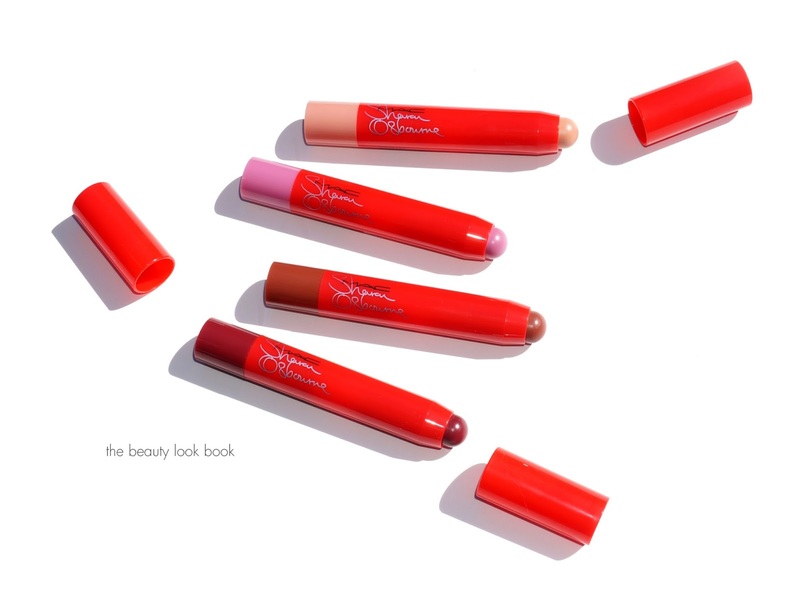 It’s like a chubby stick with a thicker smooth texture and a slightly glossy finish. They glide on easily and even though there is a good amount of shine, I found they stayed put without feeling super glossy or emollient. They aren’t drying but at the same time I didn’t find them super hydrating either. 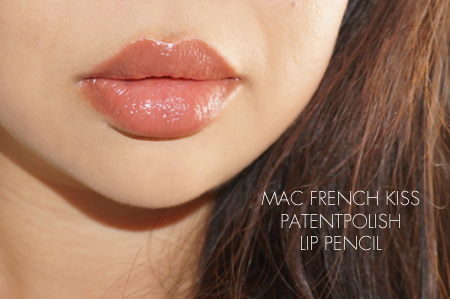 My lips usually peel a day after using MAC lipsticks if I don’t use a balm underneath. The same happened with these. As long as I moisturize well in the morning and at the end of the day with a good lip balm then my lips are fine. These are designed as a swipe-and-go kind of product. I like the convenient twist up factor and especially am a fan of the fact you don’t need to sharpen. I didn’t really find them to be a one-swipe kind of lip pencil though. My feelings for these are mixed. For the lighter colors, to get an even application I had to swipe back and forth several times for smooth decent coverage. If you try these you might not like what they lighter colors look like at first swipe. I certainly did not but after letting them sit for about 30 seconds I found they melded to my lip and warmed up to a better more natural looking finish. The darker shades applied easily and flawlessly. French Kiss and Ruby both have very smooth coverage and better pigment. Coverage on these is medium-sheer with a slight transparent look. 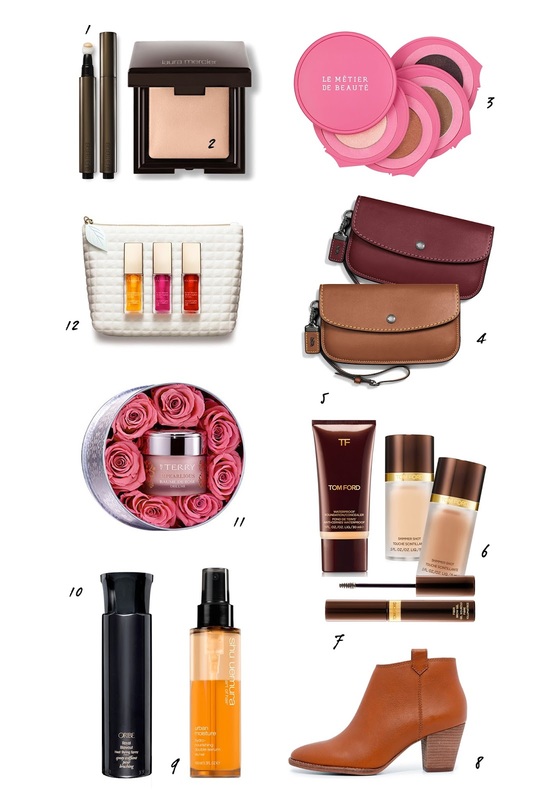 Out of the four shades, my favorite is Ruby and it’s the only one that I would say is a must-have. Good natural looking reds are hard to come by for me. Most either turn fuchsia on me or have too much brown. This is the perfect balance of bright and natural to be flattering for day or night. The Sharon Osbourne Patentpolish Lip Pencils in Innocent, Patentpink, French Kiss and Ruby are all limited-edition. Even though many items from the MAC Osbourne collection have sold out, these pencils are still relatively easy to find in stores, at counters and online. All the colors are limited edition but you can find all the Patentpolish Lip Pencil shades right now at maccosmetics.com, Nordstrom, Macy’s, and Bloomingdales.